Whether you've missed only a single mortgage payment, multiple payments, or you are a week away from losing your home, you're not too late. WE CAN STILL HELP! Foreclosure can be a very scary and sensitive situation but can be resolved easily and in a timely manner when dealing with the right people. There is a lot of corruption, intimidation, and false information provided to people when they are going through the foreclosure process. 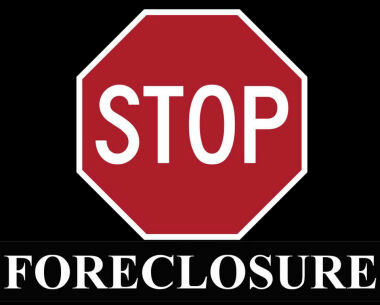 We are here to give you honest facts and to help you stop the foreclosure process. Your mortgager/bank/lender will hire a law firm to sue you for the full amount owing on your mortgage. The law firm will file a claim against you for that amount, and will make an application at the court to re-possess your home. The court will generally grant you a redemption period, in which you need to come up with the entire amount owing. This period ranges anywhere between 1-6 months, depending on the equity and occupancy of the home. Once the redemption period has passed, the bank's lawyer will go back to court and obtain an order from the judge to transfer the property to the bank's name, at which point you will be removed from your house and they will list it for sale with their own agents. Once the property is sold, the bank will pay out all the legal fees (which can accumulate to anywhere between $8,000-$20,000), as well as commissions to their agents involved in the sale. If these expenses exceed the sale price of the home, you will receive a bill for the difference. This is usually a substantial amount of money that most people cannot pay, and they are then forced to file for bankruptcy. All it takes to avoid this process is one phone call today!